I’m sure you like peculiar accidents that lead us from one event to another. We find such a connection particularly interesting because it is perceived by our brain as a chance acquiring certain patterns. An overheard phrase or a movie we’ve watched can trigger a global change in our life. Before explaining what is behind this butterfly effect in our brain, let’s consider one of such interesting examples beginning in the nineteenth-century Russian Empire, developing in the twentieth-century California, and becoming popular all over the world in the twenty-first century. Skateboarding is a $5 billion market. More than 11 million people around the world are fond of this kind of sport. The history of skateboarding begins in the 1940s when the prototype of the modern skateboard was a board with wheels as we know it today. But it also had a box and a steering wheel attached to the front. Thus, it looked like a scooter. 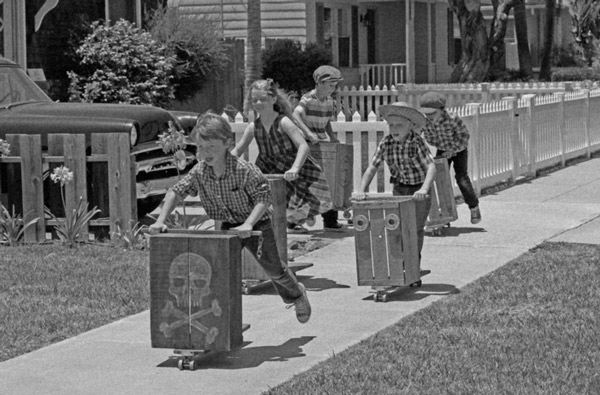 In the early 1960s, someone came up with an idea of removing the box and the steering wheel, thus the skateboards began to look like today. 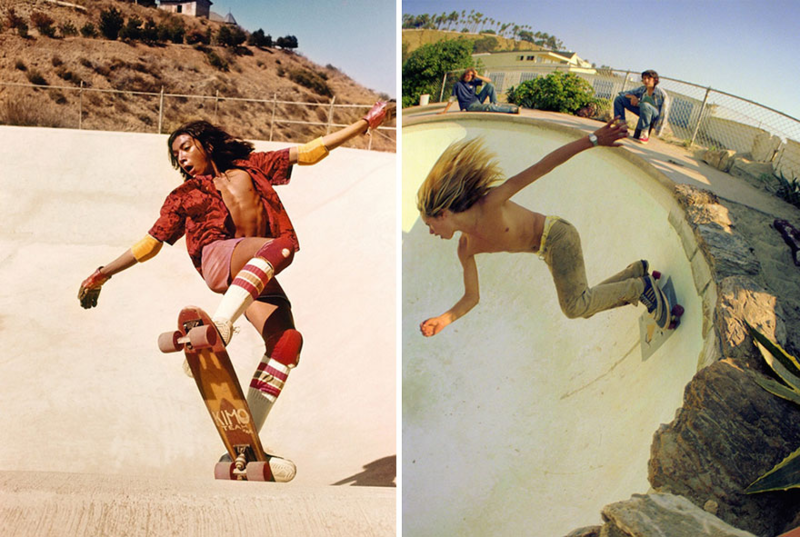 Skateboarding was getting more popular, but the special stage in its development coincided with the drought in California in the mid-1970s. Then the authorities even encouraged the couples to bathe together, let alone the filling of swimming pools, which were traditionally many in California. Empty pools have become an excellent platform for skateboarding. But it happened precisely because Californian pools were not of the most usual form – they were oblong, had no sharp corners, and were of different shapes. 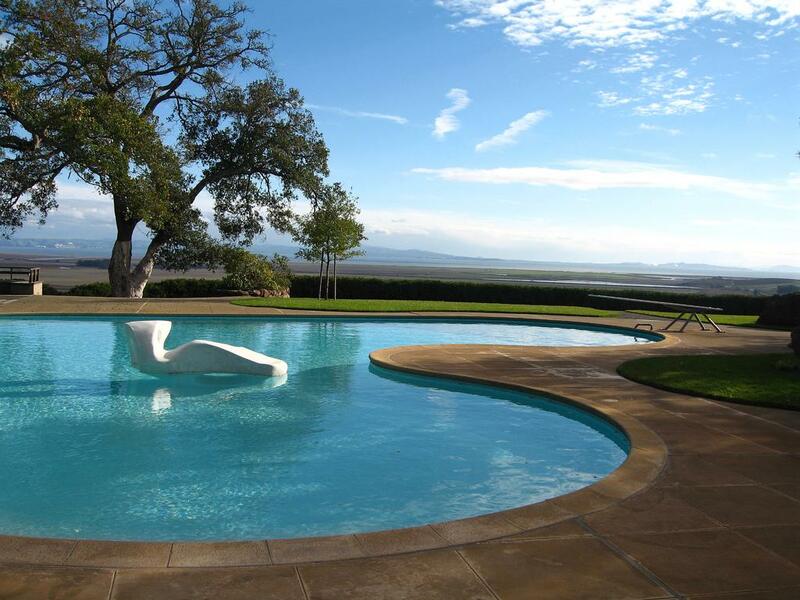 The pool shape of the kind originated from landscape architect Thomas Church. In the first half of the twentieth century, the place near the houses was traditionally occupied by the gardens even in the United States. But Thomas Church in 1948 designed for the Donnell family an entirely new kind of a garden – the Donnell Garden in Sonoma, California. It was a garden with a large space occupied by a lawn and a pool of unusual shape, and it later became customary. In 1937, Thomas Church and his wife went to Finland, where they visited the local architect Alvar Aalto. Aalto is known for having changed the Finnish architecture in order to save it from the Russian heritage (Finland was part of the Russian Empire between 1809 and 1917). In such attempts to find his own style, Aalto designed Villa Mairea for the Gullichsen family. It was Alvar Aalto who invented a weird-shaped swimming pool – a kidney-shaped one. And just like that, starting with the desire to change the architecture of the Russian Empire, the events eventually led to the popularity of skateboarding around the world. But how do people even get all-changing ideas from the compilation of information obtained and experience? We all face the need to get a brilliant idea (an insight) from our brain, but the more we think, the further away we are from the answer. When we surrender, suddenly the answer comes. Mark Jung-Beeman, John Kounios, Ed Bowden, and their colleagues observed the moments when there occurred an insight – an idea, which unexpectedly solves a serious problem. The studies show that our brain is working on solving problems with the help of unconscious mind and mainly the right cerebral hemisphere. Mark Jung-Beeman and his colleagues managed to find out through the semantic experiments using EEG and fMRI, that a particular area of the right cerebral hemisphere is involved in the occurrence of insight. It is called the anterior superior temporal gyrus (aSTG). The problem-solving process involves a cortical network to encode, retrieve, and evaluate the information obtained. But the results of the research by Mark Jung-Beeman and his colleagues showed that an additional component was needed to solve the tasks with insight. The involvement of the anterior superior temporal gyrus, according to the experiments, could be such a component. Distinct neural processes form the basis for a flash of sudden understanding that allows people to see the previously unseen connections. 3. Energy and health. Take care that your body receives the necessary amount of energy. Take into account the quality of the source of energy consumed, so as not to have a negative impact on your health. Your brain will not work effectively without the necessary amount of energy. When there is a shortage of energy consumed, it’s more important for your brain to direct the remains of its energy to vital functions. How can this be used in sports? Insights are essential everywhere. Intellect is valued both among players and coaches, as well as other employees of the sports club. When there is a need to solve a certain difficult task, it is better to increase the chance of getting an insight. This can be achieved through the conditions described above. If you provide your employees with the opportunity for insights to occur and the understanding of the way they originate, along with a well-adjusted motivational psychology in the team, you will get much more useful actions for the same amount of money. Do you need a consultation and assistance in the implementation of motivational psychology in your team? Email us at leon@sportsneuromarketing.com, and we will respond within 24 hours.